5 ways to harness learning from failure and move to success!! None of us like to fail, we find it embarrassing, frustrating and sometimes difficult to acknowledge in a world where we are judged on our successes. But failure is a key ingredient to success, without it we don't learn what works and what needs changing. Our expertise grows as much, if not more so, from our 'scars of failure' rather than blind successes. With the unrelenting pace of business change we are required more and more to step into the unknown, to explore new technologies, to adopt new ways of working and to continuously update our capability. This inevitably means we occasionally have to expect failure as part of the process. Fear, embarrassment, frustration and beating yourself up - familiar emotions? It is a lonely person who can put their hands up in a room of ten thousand people and say they have never failed at anything (or deluded). Despite knowing that everyone fails at some time, we often find ourselves in situations where there is a lack of tolerance for failure and if we are honest, the person who least tolerates our failures is often ourselves. So this here are 5 ways to unleash the fantastic power of failure and to put it centre stage where it belongs, as part of our pioneering journey to success. 1. Accept Failure is Part of Success. "Good people are good because they have come to wisdom through failure. We get very little wisdom from success"
"I didn't fail the test, I just found 100 ways to do it wrong"
Presentoutlook.com published an article called 'Richard Branson is a failure' which stated that "Richard Branson has tried many different things in his life. ... he hasn't allowed his failures to stop him from trying again. He has learnt from his mistakes and gone on to be extremely successful." 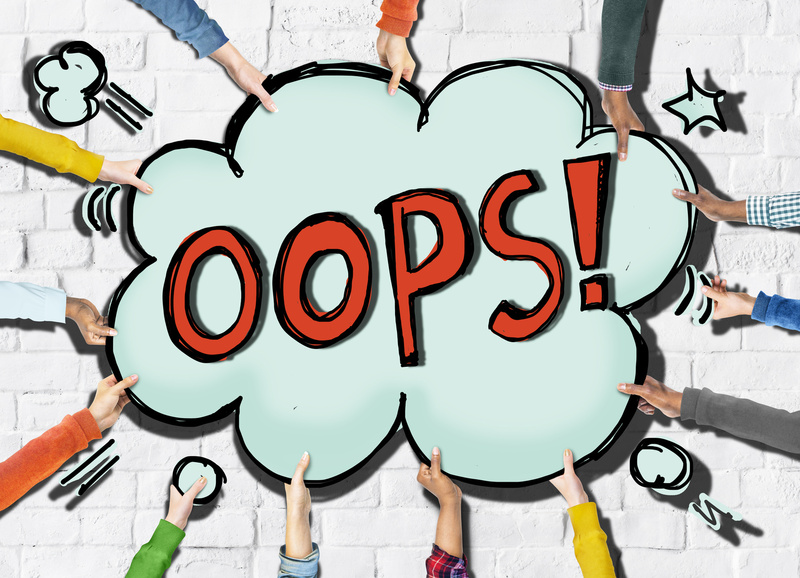 They also refer to Daniel Pink's book on career direction, The Adventures of Johnny Bunko, in which he suggests we need to make 'excellent mistakes', that is, mistakes we learn from. Don't wallow in pity, use it to learn galvanise you into action!!! If you are a manager you will probably know the challenges you face when your team have worked hard on a project or piece of work and then it doesn't go well. Some people take failure personally, sometimes they blame each other, and sometimes the team is so de-moralised that they become unproductive. Here is a simple process you can follow to get people back into a positive frame of mind. Set aside an hour with your team to go through the FACTS, FEELINGS and FUTURE process. Get the team together around a flip chart with a pen. Explain that the process is to encourage learning from what has just happened so that any errors are not repeated in the future. Facts - Tell the team that this is about recording the bold facts of what happened. No emotion, no blame and no analysis is allowed here, just the facts as we know them. Ensure you get all the facts down. Feelings - This is about recording how people feel about the failure, here there are no interruptions allowed; each individuals feelings are their own so must start with 'I feel'. There is no blame and no discounting of feelings, it is important everyone's emotions are recorded. At the end of this acknowledge that everyone feels affected by the failure and that it is ok to do so. But now to move on we need to park those feelings and think what we can do in the future. Future - This is the learning, get people to look dispassionately at the previous two flip charts and start to identify solutions which can prevent the failure recurring. This may be about process, or how the team will communicate with each other, it could lead to a 'ways of working' agreement or 'team charter'. The key is to get the team looking forward and identifying positive actions to take in the future. Ensure that this is run as a 'no blame' exercise and that the outputs from this workshop are fed into how you work as a team in the future. It is vital that you set the example of learning from failure so that others are able to be open when things go wrong in future. Often big failures happen because people are too scared to 'fess up' to the smaller failures which preceded it! People who work in project management will tell you that it is a great discipline to do a lessons learned review at the end of each stage of a project and at the final end of a project. They will also say that few projects actively do this and hence past failures are spectacularly repeated with very costly results. So what are lessons learned? In simple terms it is brainstorm with the project team to identify what went well and what went less well in the project and what should be done differently next time. In projects the lessons learned report forms part of the end project report and in some organisations is fed into a central project support office that will use these lessons to brief project managers of future projects on things to be aware of. It is a good way of building up corporate experience and knowledge. Having these available online may be really helpful to ensure corporate knowledge is retained and shared widely. One of the things which holds people back from success is fear of failure. Often this is accompanied by an inner voice saying things like: 'Don't mess this up, You aren't good enough, You always fluff the presentation' and so on. If this inner voice is causing you problems, and in some people it can lead to a feeling of paralysis in trying something new, then I recommend you read ' The Inner Game of Tennis' by W. Timothy Gallwey. He coaches tennis and often sees people 'talk themselves into failure' by trying too hard and being too critical of themselves. He suggests we have two personas inside us, Self 1 and Self 2. Self 1 tells us what to do and Self 2 actually does the work. Self 1 treats Self 2 like he/she is an idiot, giving instructions and criticising. Self 2 by contrast is actually quite good at things but gets distracted by Self 1. The premise of Tim's book is to find ways to quieten down the voice of Self 1 to enable Self 2 to do what it is good at - succeeding. This is a great and transformational book, it is also easy to read, short and written in an engaging style. A must for everyone! I would personally put this on the national curriculum as a book all teenagers should read! 5. Hold Yourself to Account! When you have identified actions you will take in the future it is really easy to think 'well that is it, I have learned from my mistake, job done'. The thing is, you need to go on applying your learning and hold yourself to account to implement the changes identified as part of your lessons learned and facts, feelings and future workshops. So how will you do this? Firstly, if you want your team to own up to mistakes, you need to own up to yours. Ensure that if you are wrong you are able to admit it and show you have learnt from it, oh and apologise to those affected! Secondly, if there are some things you keep getting wrong, for example offering solutions without letting others come up with their ideas, then ensure those around you know this is a behaviour you want to change and get them to 'call you on it' if they see you behaving in this way. Thirdly, be kind to yourself, change takes time, it takes at least 30 repetitions to make something a habit so cut yourself and your team, some slack and expect to slide backwards occasionally. If errors do recur, go back to basics and ask why, what are we not doing to prevent slippage, what did we forget to do? Finally - keep a sense of humour, the thing which rescues people from despair when things go wrong is to be able to joke about it and to move on!